AEI Happy 138th Birthday to the ‘Sage of Baltimore’ — H.L. 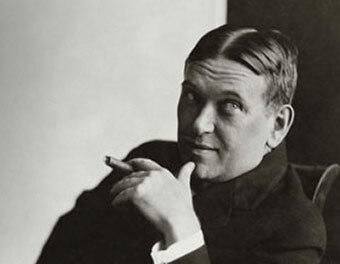 Mencken Tomorrow (September 12) is H.L. Mencken’s birthday. The “Sage of Baltimore” (pictured above) was born in 1880 and is regarded by many as one of the most influential American journalists, essayists, and writers of the early 20th century. To recognize the great political writer on his birthday, here are 12 of my favorite Mencken quotes: 1. Every election is a sort of advance auction sale of stolen goods. 2. A good politician is quite as unthinkable as an honest burglar. 3. A politician is an animal which can sit on a fence and yet keep both ears to the ground. 4. Democracy is a pathetic belief in the collective wisdom of individual ignorance. 5. Democracy is also a form of worship. It is the worship of jackals by jackasses. 1. Every election is a sort of advance auction sale of stolen goods. 2. A good politician is quite as unthinkable as an honest burglar. 3. A politician is an animal which can sit on a fence and yet keep both ears to the ground. 4. Democracy is a pathetic belief in the collective wisdom of individual ignorance. 5. Democracy is also a form of worship. It is the worship of jackals by jackasses. 6. Democracy is the art and science of running the circus from the monkey cage. 7. Democracy is the theory that the common people know what they want, and deserve to get it good and hard. 8. Every decent man is ashamed of the government he lives under. 9. If a politician found he had cannibals among his constituents, he would promise them missionaries for dinner. 10. For every complex problem there is an answer that is clear, simple, and wrong. 11. The whole aim of practical politics is to keep the populace alarmed (and hence clamorous to be led to safety) by menacing it with an endless series of hobgoblins, all of them imaginary. 12. As democracy is perfected, the office of the president represents, more and more closely, the inner soul of the people. We move toward a lofty ideal. On some great and glorious day, the plain folks of the land will reach their heart’s desire at last, and the White House will be adorned by a downright moron. You can find more great Mencken quotes here. Are We Remembering 9/11 Or Forgetting It?